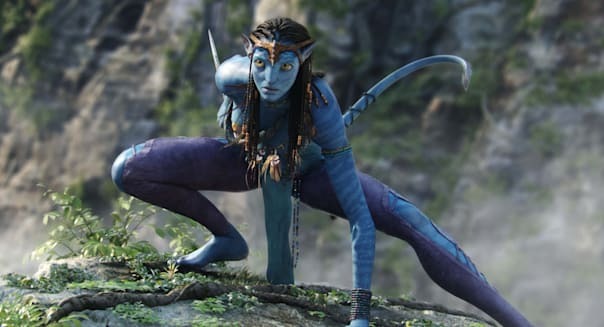 It has been nearly three years since the announcement that James Cameron's "Avatar" franchise would be the inspiration for Disney's (DIS) Animal Kingdom expansion. This month, the family entertainment giant finally broke ground on the ambitious project. It's a pretty big deal. Orlando Sentinel's Jason Garcia leans on third-party estimates calling for Disney to invest $800 million in upgrading its animal-themed park over the next three years, with a little more than half of that going specifically into the "Avatar" area that will take over the now shuttered Camp Minnie-Mickey section of the theme park. When the "Avatar" area opens in 2017 it will feature at least two major attractions set against a luminescent landscape where the fictional Na'vi tribe inhabit the moon Pandora. It will be a big investment for Disney, a company that doesn't cut big checks unless it sees bigger long-term rewards. Disney's fourth theme park in Florida has come a long way since opening to weak attendance through its first few years of operation. The Animal Kingdom park opened in 1998, and five years later, annual attendance had fallen by 15 percent. It was an incomplete park. It was too expensive to be a zoo. It was too light on attractions to be a theme park. It was also too hot to bear on most days, sending guests scrambling for the exits in the afternoon. I was critical to the point of being mean at the time, but the criticisms were earned. Given the popular knock on it for being a half-day park, it wasn't fair for Disney to charge as much to enter Animal Kingdom as it did for its more successful Florida parks. %VIRTUAL-article-sponsoredlinks%Attendance bottomed out in 2003. It's been inching higher nearly every year, and adding a themed roller coaster in 2006 went a long way into keeping crowds around longer. But that wasn't enough. Now that holiday season has come and gone, the park is closing as early as 5 p.m. most weekdays this month. Something's not right if Disney can't keep crowds long enough to feed them dinner at the end of the day. It's easy to be skeptical. Animal Kingdom is a park themed around animals, and along comes Cameron's rich world where guests will ride flying banshees and take boat rides along the Tree of Souls. It may seem like a stretch, but imaginary animals and habitats were actually part of Disney's plan all along. The park's original logo featured a dragon alongside a dinosaur and modern animals. Beastly Kingdom is what most diehard Disney fans refer to when it comes to this mythological land that never materialized. Camp Minnie-Mickey -- the uninspiring Adirondacks-themed area that served as a character greeting area and the popular Festival of the Lion King show that's moving to its rightful place in the Africa section of the park -- took its place. It closed down on Jan. 5, and in three years it will reopen with the beastly creatures that should have been there all along. This is going to be a big step for the park, but it may not be enough to turn Animal Kingdom into a full-day attraction. After all, someone coming for the live animals may have no interest in the mythological ones. Someone looking for the thrills of the flying banshee attraction may have little else to do besides Expedition Everest before heading out. Once again, Animal Kingdom may be the tapas of the Disney theme park menu. It's little morsels here and there, but not enough to make a meal. Animal Kingdom is no longer Disney's least visited park. It has recently overtaken Disney's Hollywood Studios. However, it's clearly not complete if Disney doesn't have a problem closing the park at 5 p.m. on weekdays like a suburban museum. The "Avatar" area will help. It's incremental. It replaces an area with limited appeal. However, not only will three years be a long time to wait to see that shot of energy, but it may not be enough by the time 2017 rolls around. Disney's putting up a lot of money to suggest otherwise, but the ultimate test will be at what time the park closes on a quiet January weekday in 2018.